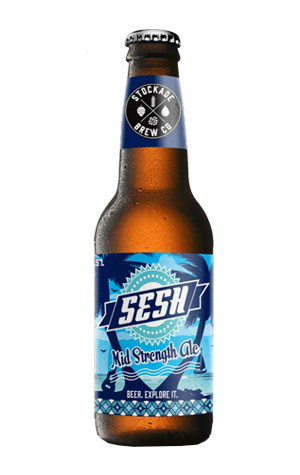 When Stockade launched its first core range offerings in 2015, leading the line was a golden ale called The Sesh. It was a beer they produced for about three years before making a move that was akin to a sporting substitution: they pulled The Sesh from the game and sent in something that would perform a similar role but with different attributes. Minus the ‘The’ and rebranded simply as ‘Sesh’, the new beer is a bona fide mid-strength ale at 3.5 percent ABV. They opted to load it up with the classic American hop trio of Citra, Cascade and Centennial to give plenty of tropical and citrus character on the nose and ensuring enough of that made it through to the palate to serve up the kind of flavour that mainstream middies are so often missing. Sesh is the kind of thing that's good to have around when you want a beer but still have things to do after having a couple.